Dogs and cats are not just pets. They are treated like members of the family. And like any member of your family, it’s important to keep your companion animal healthy and free of parasites. It is fairly common for a dog or cat to become infected with an internal or external parasite at some point in its lifetime. Parasites can affect your pet in a variety of ways, ranging from simple irritation to causing life-threatening conditions if left untreated. Some parasites can even infect and transmit diseases to you and your family. Your veterinarian can help prevent, accurately diagnose and safely treat parasites and other health problems that not only affect your dog or cat, but also the safety of you and your family. For more information on how parasites affect your dog or cat, the health risks to people and prevention tips, please visit us at www.petsandparasites.org. What is a zoonotic disease? Zoonoses, or zoonotic diseases, are those diseases that can be transmitted directly or indirectly from animals to humans. For example, some worms can be transmitted in the environment. What is a vector-borne disease? Vector-borne diseases are those transmitted by fleas or ticks among other parasites that infest dogs and cats. They can affect pets and people. Ticks can transmit a large number of “vector-borne” diseases in North America including ehrlichiosis, Lyme disease, relapsing fever, Rocky Mountain spotted fever and tularemia. Do fleas and ticks on my pet present a health risk to my family? Yes. 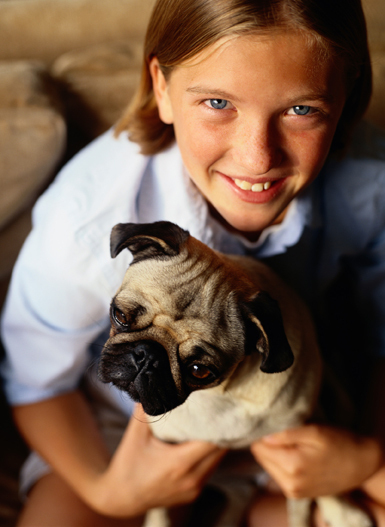 Fleas and ticks can carry and either directly or indirectly transmit several potential illnesses of humans. For example, rickettsiosis (infection with Rickettsia) can be transmitted directly by ticks. Bartonellosis (infection with Bartonella) is transmitted between cats by fleas and then may spread to people. Also, fleas serve as an intermediate host for tapeworms, which can infect both your pet and humans. What kind of internal parasites or worms can infect my cat or dog? the area the pet roams. Once in the environment, some of these eggs can remain infective and present a health risk for your pet and humans for years. Are heartworms a parasite I should be concerned about for my pet? Yes. Heartworms can be a very serious problem for both dogs and cats, especially those in mosquito-infested areas, as mosquitoes are a vector and intermediate host for the pest. Heartworms can kill or seriously debilitate pets that are infected with them. That’s because heartworms live in the bloodstream, lungs and heart of infected pets. Your veterinarian can do a blood test to determine if your pet has heartworm disease. 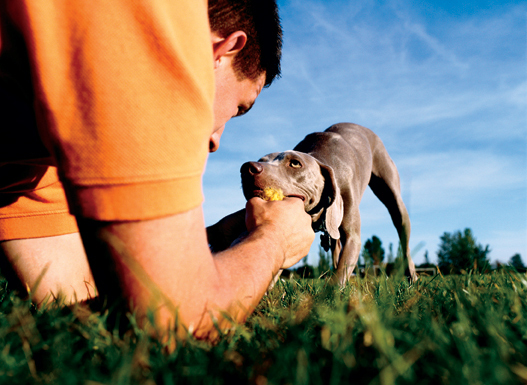 A year-round preventive program is most effective to keep pets free of heartworms. If my dog or cat has intestinal worms, how can these parasites infect humans? Roundworms are the most common intestinal parasite of pets and the most likely to be transmitted to humans. Humans can accidentally ingest infective worm eggs that have been passed through the pet’s feces and left in the environment. The eggs can then hatch in the human’s intestinal tract, and the immature worms can travel to various tissues in the body, including the eyes and brain, potentially causing serious infections. For more frequently asked questions and answers, please visit us at www.petsandparasites.org or consult with your veterinarian. You can reduce the risk of parasitic infection to your family by eliminating parasites from pets; restricting access to contaminated areas, such as sandboxes, pet “walk areas,” and other high-traffic areas; and practicing good personal hygiene. Disposing of pet feces on a regular basis can help remove potentially infective worm eggs before they become distributed in the environment and are picked up or ingested by pets or humans. important to consult with your veterinarian to implement a year-round parasite control program. Responsible pet parasite control can reduce the risks associated with transmission of parasitic diseases from pets to people. By following a few simple guidelines, pet owners can better protect their pets and their family. Use a preventative flea and/or tick treatment year-round. Only feed pets cooked or prepared food (not raw meat). Minimize exposure to high-traffic pet areas. Clean up pet feces regularly. Visit your veterinarian for annual testing and physical examination. Administer worming medications as recommended by your veterinarian. Ask your veterinarian about parasite infection risks and effective year-round preventative control measures administered monthly. For more important information about parasite control guidelines, ask your veterinarian or visit us at www.petsandparasites.org. The Companion Animal Parasite Council (CAPC) is an independent council of veterinarians and other animal healthcare professionals established to create guidelines for the optimal control of internal and external parasites that threaten the health of pets and people. It brings together broad expertise in parasitology, internal medicine, public health, veterinary law, private practice and association leadership. Initially convened in 2002, CAPC was formed with the express purpose of changing the way veterinary professionals and pet owners approach parasite management. The CAPC advocates best practices for protecting pets from parasitic infections and reducing the risk of zoonotic parasite transmission. Copyright © 2019 CAPC. All rights reserved.